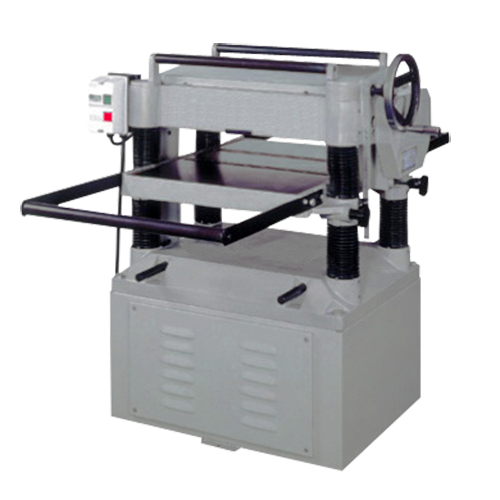 Two auto infeed speeds for fast cutting. Easy and accurate assembling of the knives. Extension rollers for long stock. Dust collect hood for clean working area. Stop or start feeding clutch. Top rollers for returning stock. Table raises and lowers easily with large hand wheel. Anti-kickback fingers for safety protection.